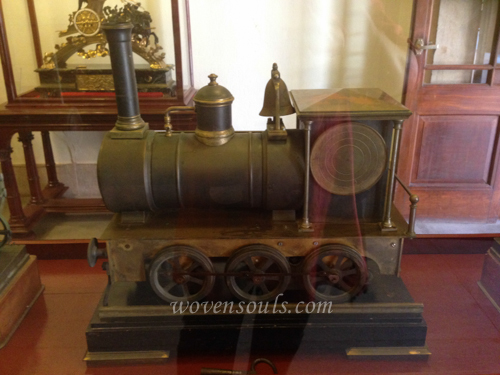 I have heard of strange collections – a collection of railway engines and a collection hangman’s nooses! 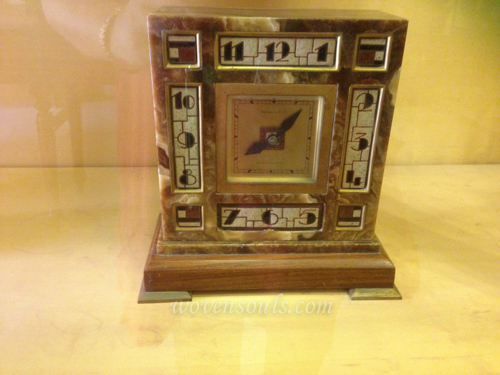 But most collectors however focus on simpler objects – like coins and clocks. 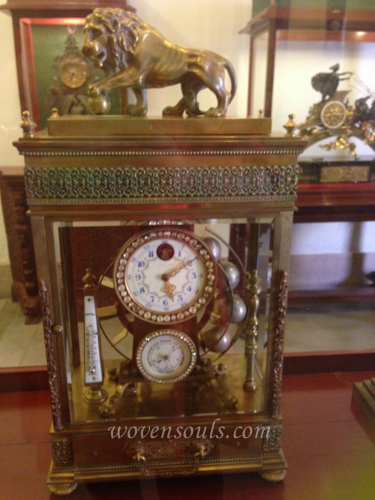 Although I do not understand clocks at all, here I present photos of the collection showcased in the Umaid Bhavan Palace Museum. 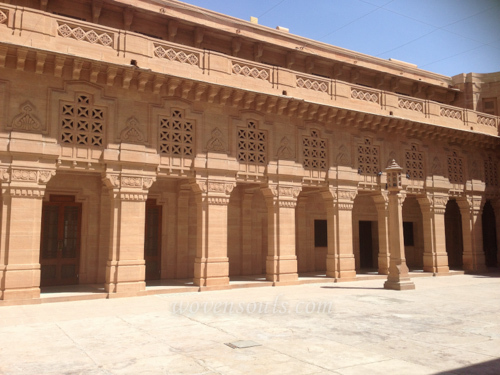 Royal recognition came to an official end when the kingdom was absorbed into the Republic of India in 1956. 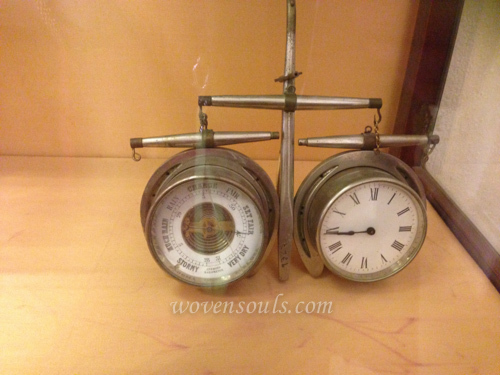 Times changed. 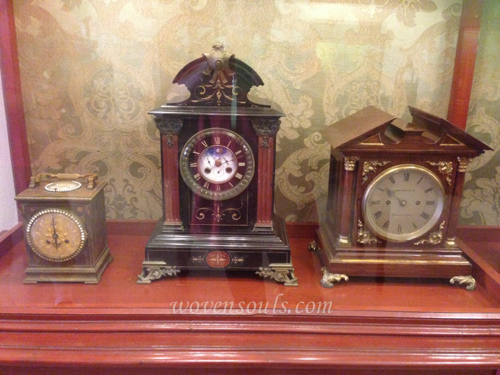 In spite of this large collection of time-machines. 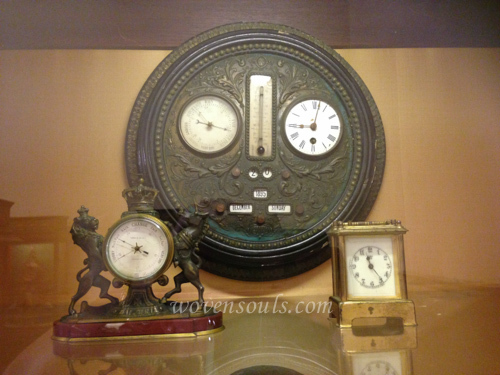 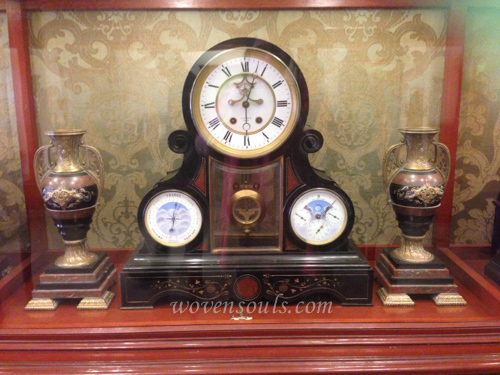 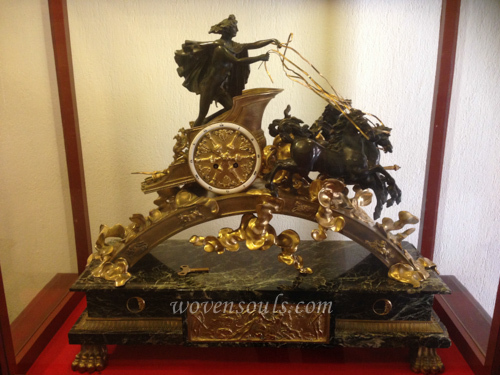 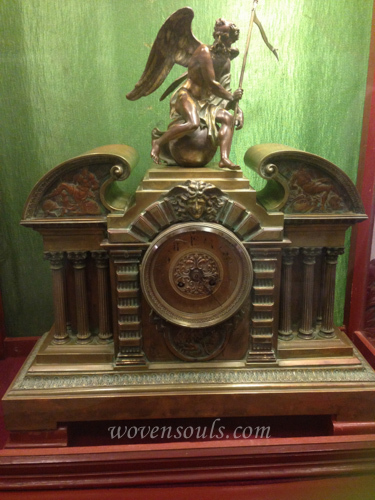 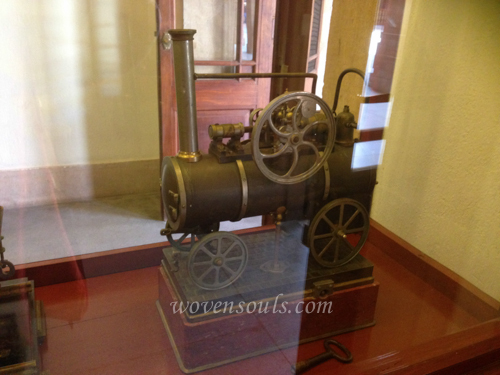 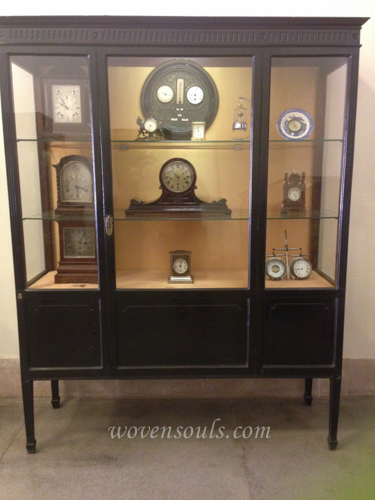 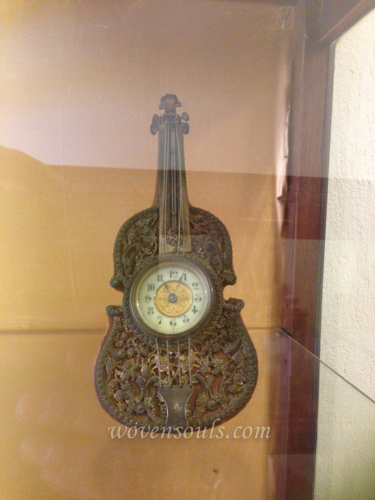 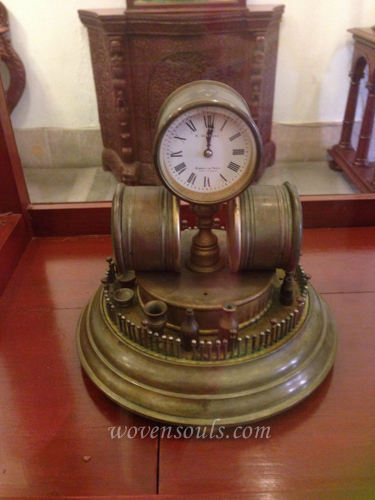 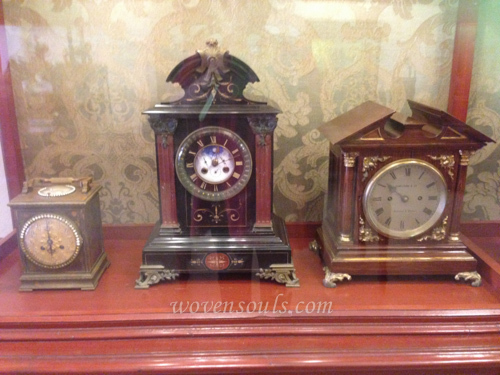 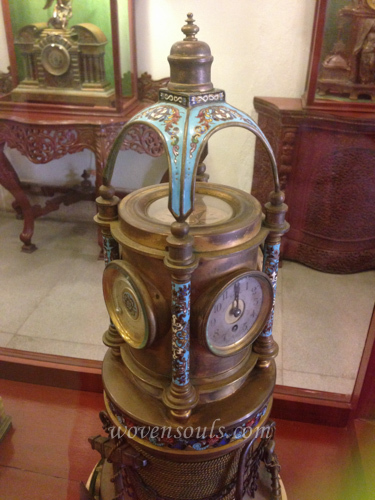 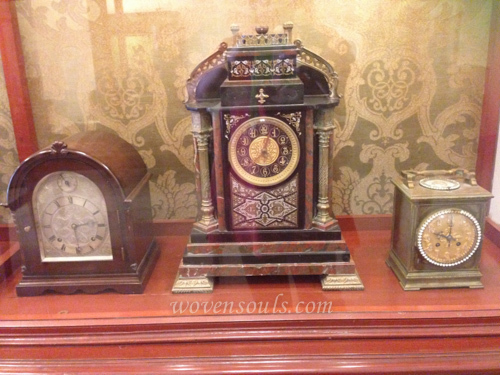 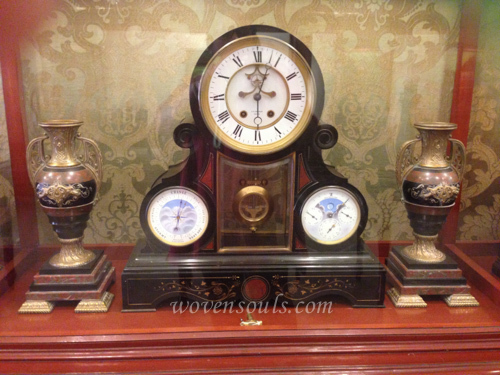 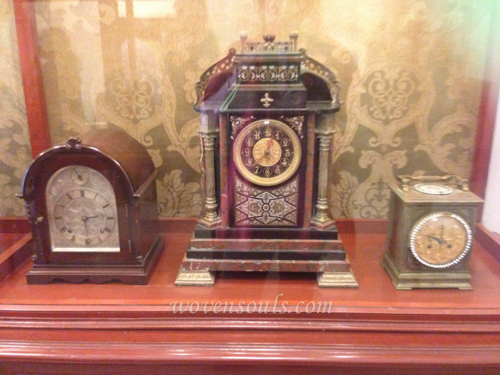 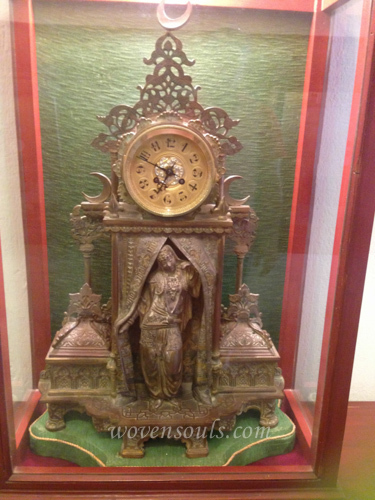 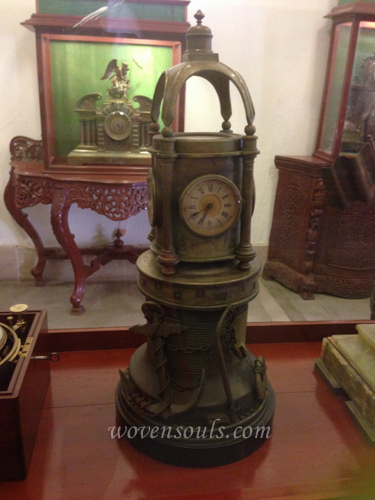 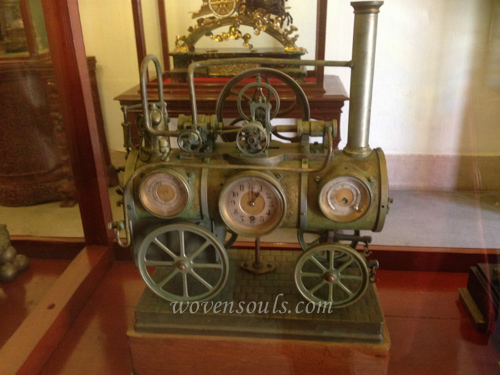 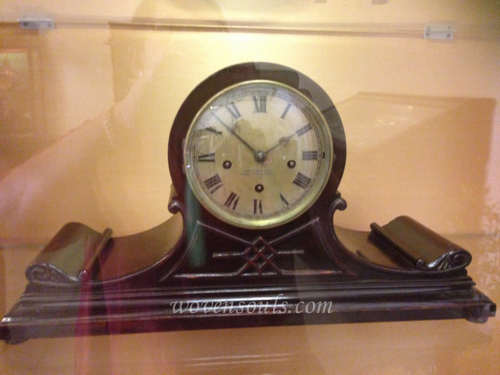 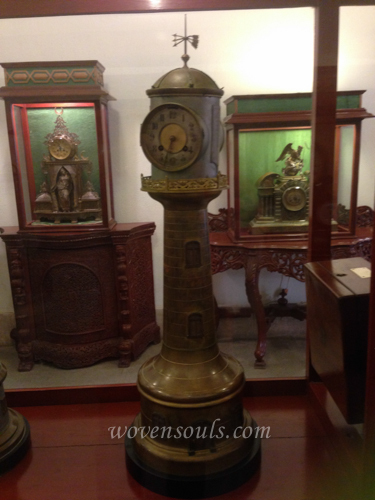 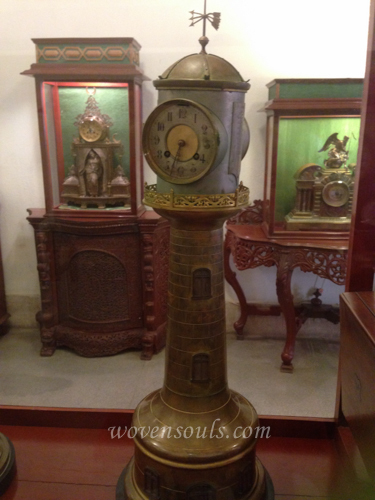 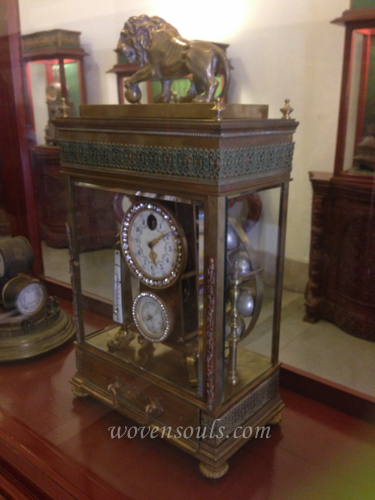 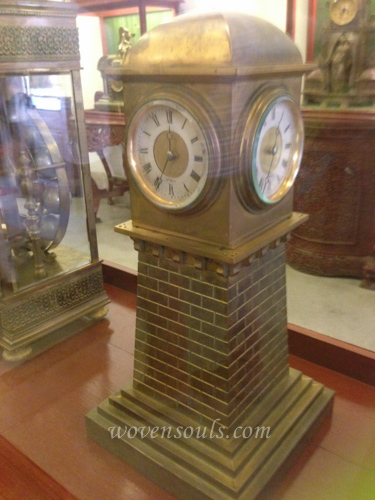 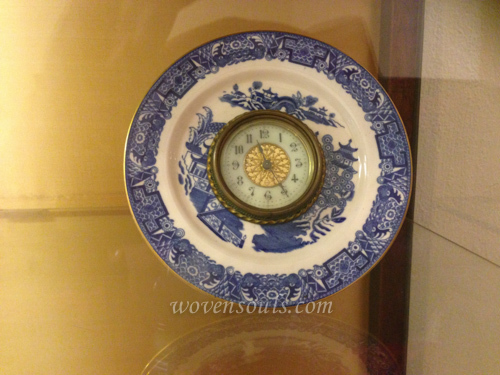 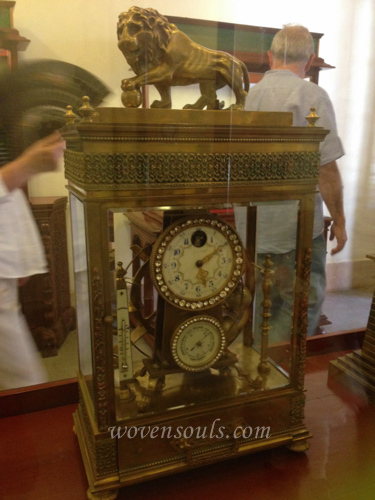 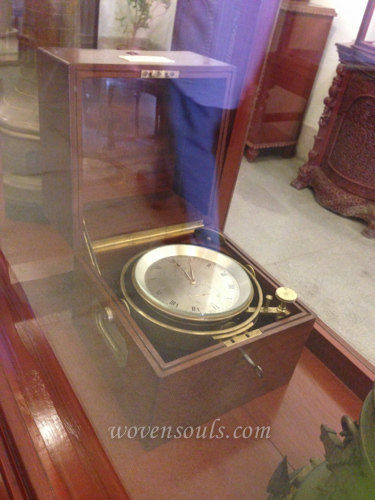 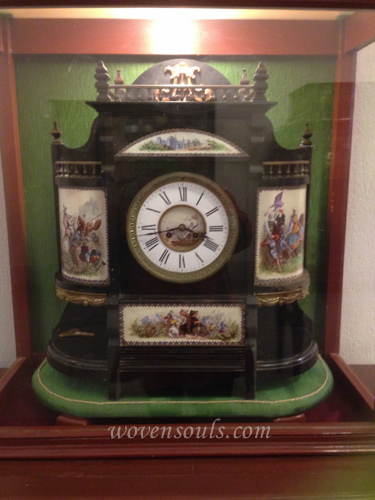 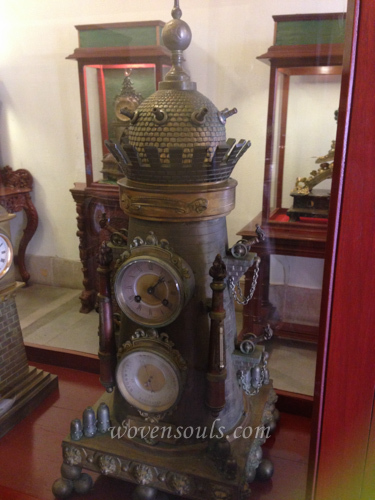 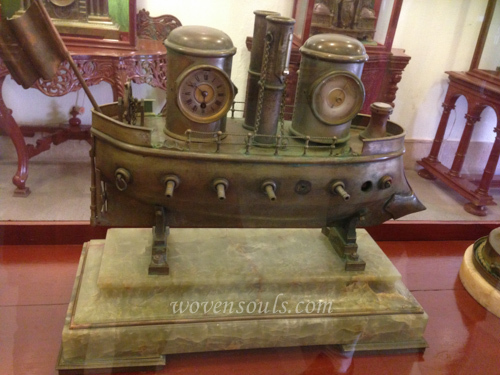 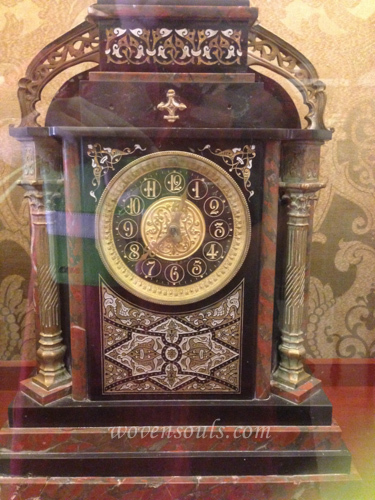 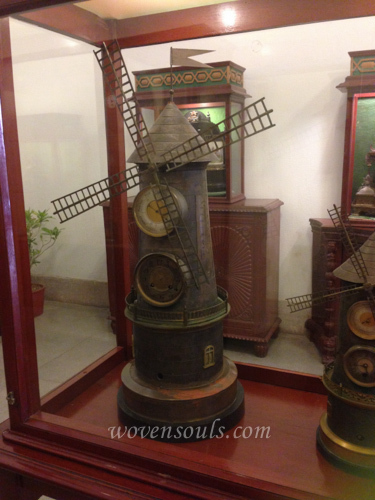 This entry was posted on March 25, 2014 by wovensouls in Art Kaleidoscope, MUSEUM WALKS and tagged art, clock, clock art, collection, collector, museum, Rajasthan.